Unisex boxers. Because not everyone wants to drop drawers for their tanning technician. 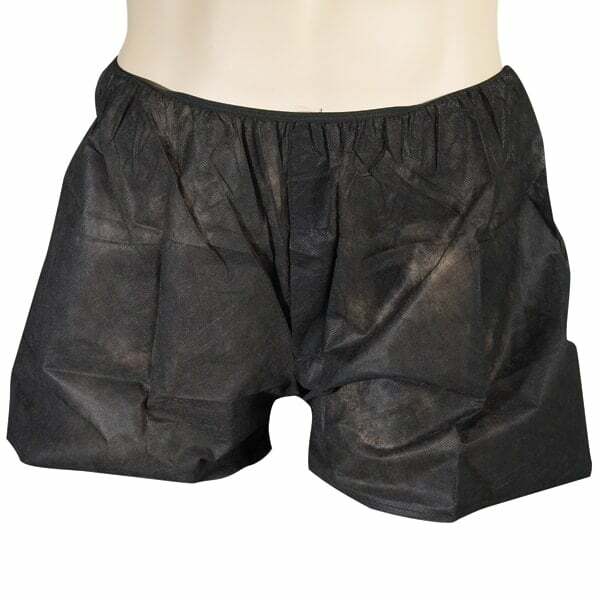 Disposable garments are an alternative to using underwear or bathing suits for clothing while spray tanning. Often, tanners are faced with two options, neither of which properly suits their needs. They choose between getting completely naked in the face of a tanning technician and having no tan lines or wearing their own underwear or swimming garments that will come away covered with spray tan solution overspray, and perhaps delivering the tan lines they didn’t desire. It is wise for technicians and salons to have a solution on hand. Suddenly, you become the spray tan expert who really knows what tanners need! Need a leg up on your competition? Think outside the box. This is a highly affordable special ingredient for your spray tan business. Boxers are unisex and can be worn by both men and women. Family Leisure also carries bikini bottoms, bikini tops and more spray tanning garments and accessories made by Norvell.